Positively Parisian restaurant, Privé 249, located at Sofitel Brisbane Central hotel, has been awarded 'Best New Restaurant' at the 2010 Queensland Restaurant & Catering Awards for Excellence. Launched in September last year, French flavoured Privé 249 was awarded the prestigious prize in the 'Best restaurant for under 50 guests' category. Sofitel Brisbane Central General Manager Tony Chisholm says, "This award is wonderful acknowledgment that salutes the intimate dining style, superior service and elegant atmosphere that defines the Privé 249 experience. We strive each day for quality, simplicity and authenticity so I am pleased for the team to have them recognised for this. "it's a terrific achievement for them. The amazing ability of our Chef de Cuisine Mathieu Astier and excellent service and leadership of our Restaurant Manager Francois Laran is an unbeatable combination." Chef Mathieu Astier - who credits his passion for cooking to his inspirational teachers, which include the famed Regis Marcon and Joel Robuchon - spent much of his life in Monte Carlo, working throughout 1 to 3 star Michelin restaurants, before relocating to Brisbane in 2007 and joining the Privé 249 launch team in 2009. Astier says, "This is a magnifique moment for Privé. The award is an early gift for us all as we prepare to celebrate our first anniversary on the Brisbane restaurant scene next month, and we couldn't be prouder. "My focus has always been on using the absolute best product available in the market, so I am lucky to have South East Queensland and its bounty of fresh local produce available locally on my doorstep. This has been vitally important in allowing me the freedom to explore and create memorable menus that present distinct and palatable flavours for our guests." Privé 249 fabulous and authentic French approach infuses every aspect of the restaurant, from the cuisine on offer through to the way personal and professional European approach of its staff ensuring that every evening is an unforgettable gourmet experience for guests. The restaurant boasts a tantalising menu of French inspired Australian cuisine. Seating up to 50 guests the restaurant's floor to ceiling windows frame magnificent city views, overlooking Brisbane Central Clock Tower and the historic Anzac Square. The intimate restaurant has been created by partitions of beaded curtains. By day natural light streams through the windowed wall and by night the mood is transformed with dramatic Italian chandeliers and giant candles. Black glass tabletops are set with white china and Italian titanium cutlery – a striking mix of gold and silver. In celebration of Brisbane's continuing love affair with French cuisine, Mathieu Astier will open his kitchen at Privé 249 to visiting chef Alain Fabrègues next week to host a lavish dinner event showcasing highlight recipes selected from Fabrègues new cookbook "Degustation" cookbook.. The "Privé 249 Degustation Dinner, featuring Alain Fabrègues" will take place for one night only on Tuesday the 24th of August and will serve up four delectable courses with matching wines, coffee and petit fours to finish. Dinner guests will also receive a complimentary signed copy of 'Degustation' as a memento of the night. This special event is priced at $199 per person. Booking for all events are essential and subject to availability. 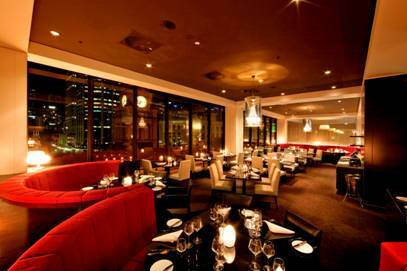 To make a reservation at Privé 249 call 07 3835 4444 or visit www.sofitelbrisbane.com.au for more information.